Marksmanship Firearms Training | Be Safe. Accurate. Confident. This is an all inclusive premium class that exceeds the state requirements for a MN Permit to Carry a Pistol. The fee includes the classroom portion, the range time, targets, and gun rental if necessary. Currently, the MN Permit is recognized in 30 other states but if you need more, I can help you obtain a Florida non-resident permit. This class is for everyone. If you are an experienced permit holder looking for a renewal class, I promise you’ll learn something new. If you’ve never held a handgun before, you will receive the instruction you need to be able to handle one safely in a comfortable, non-threatening environment. I can’t tell you how many students I’ve taught that maybe came to class a bit nervous, even apprehensive, only to leave shooting very well with a big confident smile. The classroom and range are in a new, clean, state of the art training facility staffed by friendly, helpful range safety officers that will continue to help you when you come back for more practice. The course material I use is the best there is. Far from just another boring Power Point, the materials are loaded with colorful, engaging, photos, illustrations and videos. Even if you have had no previous firearms experience, you will not feel like you are over your head and being left behind and you’ll have ample opportunities to ask questions. In addition to handgun skills, this class is strong on situational awareness (how not to become a victim), on the legal issues surrounding the use of deadly force for self-defense (how not to become a victim of the legal system) and on the physiological effects (fight or flight mechanisms) your body and mind will experience during a potentially deadly force attack. All Inclusive class includes range fee and gun rental, if needed. Add Florida Non-Resident permit for just $15 more. Only Two Spots Left! Sign up Now! The total all in* cost for the class is $109 $59 plus tax which includes the range time and gun rental if needed. *Not included in the cost is the fee paid to your county sheriff’s office for your permit application. Who may apply for a MN Permit to Carry a Pistol? Anyone who is a permanent US resident at least 21 years of age, can pass a thorough background check and is not otherwise prohibited from possessing a firearm. Your driver’s license or state ID card. Your handgun (if you have one) and box of ammo . The Range supplies eye and hearing protection if you don’t have your own. If I don’t have my own gun? You can use one of mine and I’ll supply the ammo. Are there really no additional charges? That’s right. Everything is included. Well, except for sales tax. This is Minnesota after all. The sherif’s office has 30 days to issue or deny your permit application. Your permit is good for 5 years. Is it really okay for someone with no experience with guns to take this class? You bet. This class covers basic handgun safety and use. But it goes way beyond that. There is a lot more that you need to know about carrying a handgun than just shooting well though that is certainly important. That said, this is not an advanced pistol class. Everyone should seek additional training after they have their Permit to Carry. That’s unlikely. There is no written exam and expert marksmanship is not required. About the only way to fail would be to demonstrate an inability or unwillingness to follow the four universal safety rules. These are perhaps the most complete and up to date website for keeping up with the every changing firearms laws across the US. It also includes detailed info and reciprocity maps showing which states honor your MN permit. I can’t recommend The Law of Self Defense strongly enough. 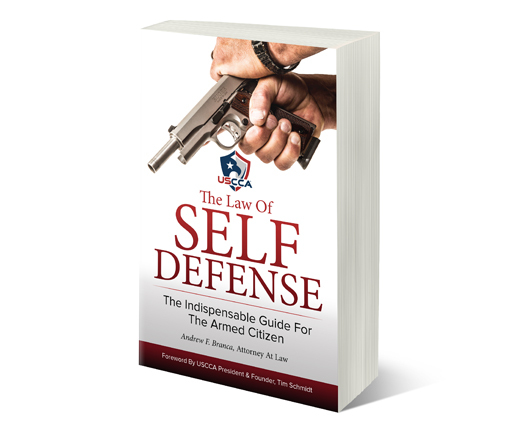 If you own a gun for self-defense, even if just in your home, you need to read this book. Far from boring legalize, it clearly explains the legal principles surrounding self-defense law and has many stories of how those principles can play out in real life. Just get it! I have a question about the next class.